Rilakkuma Shop: Photo Contest ends tonight! 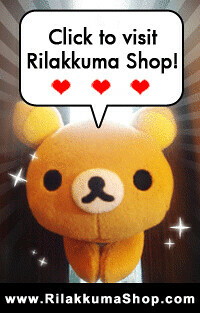 Once it strikes midnight and hits 20th July 2010, we are closing the submission for Rilakkuma Shop July Photo Contest. Please send them in early, as we will not be accepting any late entries. Do note that after you send in your entry, you should be receiving a confirmation email from us within 12 hours. Please send to the correct email: contact.rilakkuma@gmail.com (copy and paste this email), we will not be responsible for any entries that we didn't receive. 3) Upload your contest photo to your own facebook album. 4) Send us a private message and your entry details with the link of your contest photo. Today is the last chance! Gambatte~!